The new Notepad 102, 124 and 124 FX models boast Soundcraft audio performance with the acclaimed GB30 mic preamp and EQ technology in a highly-compact and solid chassis. 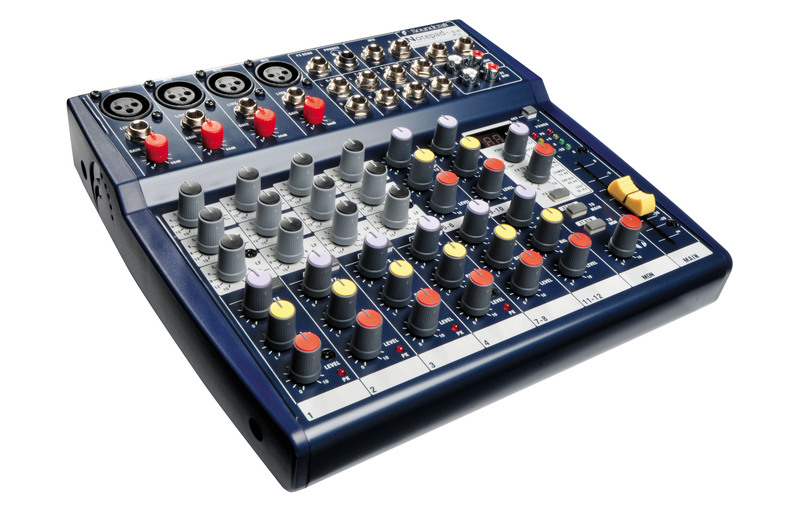 Each 124 model has 4 mono mic/line inputs while the Notepad 102 has 2 mono mic/line inputs. All models boast 4 stereo line inputs, and suit a very wide range of applications where simple yet high-quality mixing is required, such as in home recording, small band/cabaret PA systems, AV presentation systems, small broadcast edit suites, educational environments and general contracting. The Notepad 124FX also has an integral digital effects processor which has a feed from every input and over 100 effects, including a pink noise and test setting. The FX control can also be used to set delay tap tempo, a feature not found in many mixers in this class. On the Notepad 124, the FX send is replaced by a standard AUX send with a dedicated output. Both models provide a recording output of the mix on RCA/Phono connectors as well as a stereo input for CD playback etc. 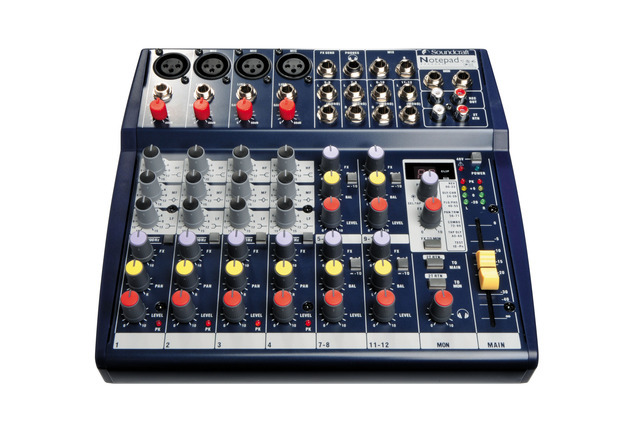 Other highly-desirable functions include a high-pass filter on the mono inputs, a 60mm fader for the mix output selectable sensitivity of +4dBu or 1-dBv on each stereo input (Notepad 124 models only) and multi-segment led metering on the mix output along with a headphone monitoring output.